Sparkling rosé is one of the most versatile, food-friendly wines in the world. A New York City chef and sommelier prove you can't make a wrong match. A decade ago, when Thomas Carter was a twentysomething sommelier at New York City's Alain Ducasse at the Essex House, a customer ordered a bottle of the prized 1985 Cristal Brut Rosé Champagne once a week. "He and his date would each drink a glass, and then he'd leave the other half of the bottle for the staff," Carter says. This was the beginning of his own love affair with sparkling rosés. Now the wine director and co-owner of the new Estela in New York City (estelanyc.com), he still adores sparkling rosés, whether they cost $20 or $200 (or $2,000!) a bottle. While the grapes in these wines often vary by region, Carter says that all sparkling rosés have a great affinity for food: "Pink sparkling wines have a real depth of flavor, but a lot of acidity too, which makes them good with so many different dishes." Sparkling rosés—which are pink because the winemaker either blends red wine into the white or leaves the red grapes on their skins for a short period of time, so the color bleeds—often have a little bit more body and fruitier flavors than white sparkling wines, making them especially versatile. Carter admits that few wines are better than true rosé Champagne, but at Estela—a buzzy neighborhood restaurant with a sweeping bar that takes up almost half of the space—he hasn't yet found a high roller who'll regularly order the most expensive sparkling rosé on his list, the $160 Larmandier-Bernier Rosé de Saignée Extra Brut Champagne. Instead, customers tend to choose pink sparkling wines from more obscure regions, like France's mountainous Jura or Spain's Canary Islands. Carter even offers a $38 bottle of pink Spanish cava. The range of sparkling rosés at Estela inspired the recipe pairings here. 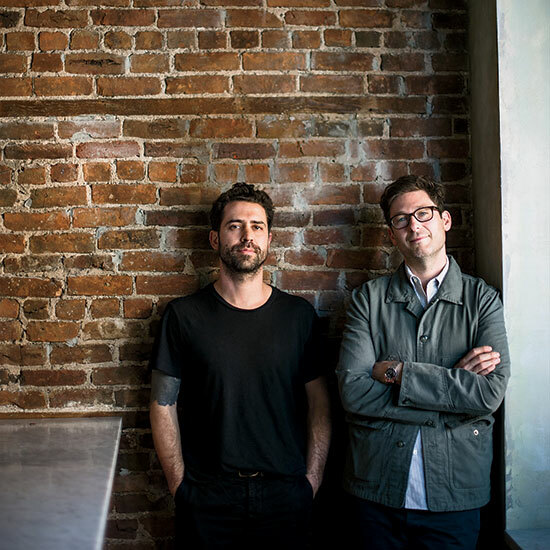 The food is by chef and co-owner Ignacio Mattos, who made his name at Brooklyn's Isa with experimental, naturalist dishes like sardines served with their crispy-fried skeletons and smoked egg yolks floating in sorrel consommé. At Estela, he's more minimalist, creating pared-back, exquisitely executed dishes that lean Mediterranean and go perfectly with sparkling rosé. To be fair, the pairing part isn't much of a challenge. "It's very hard to make a wrong match with sparkling rosé; you could basically drink these wines with anything from decadent French food to Chinese takeout," Carter says. Carter pairs the dish with a full-bodied, fruity sparkling rosé, the NV René-Henri Coutier Champagne Brut Rosé Grand Cru. The NV Fleury Pere & Fils Rosé de Saignée Brut is another good pick. Ignacio Mattos arranges crisp chicken thighs on a velvety hummus made from dried fava beans, not chickpeas. A bright, lightly spicy rosé cava, like the NV Canals Canals Rosat Reserva, is delicious here. Also try the NV Freixenet Cordon Rosado Brut. Meyer lemon adds fresh flavor to squid and fat, creamy beans, which can be tricky to pair with wine. But Carter succeeds with the NV François Pinon Touraine Brut Rosé from the Loire Valley. Another option: NV Louis Bouillot Crémant de Bourgogne Perle d'Aurore Rosé.